Have a drink with the looniest of cartoons, the Looney Tunes! 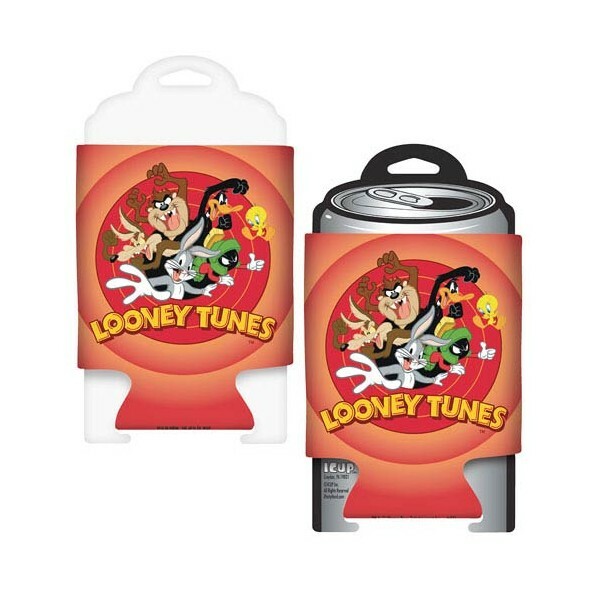 The Looney Tunes Cast Can Hugger is the perfect item for someone wanting to spend some more time with those wacky characters while simultaneously trying to keep their canned or bottled beverage at a relatively cool temperature. Have a drink with the looniest of cartoons, the Looney Tunes! The Looney Tunes Cast Can Hugger is the perfect item for someone wanting to spend some more time with those wacky characters while simultaneously trying to keep their canned or bottled beverage at a relatively cool temperature. 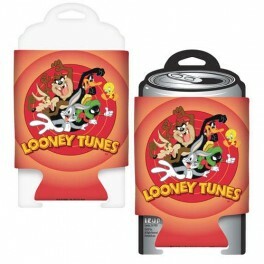 This amazing can hugger features the classic Looney Tunes logo along with all of your favorite characters. There's Taz, Bugs Bunny, Wile E. Coyote, Daffy Duck, Marvin the Martian, and even Tweety Bird - all featured on the front of this great can hugger!